سواءً كنت مسافراً بغرض السياحة أو العمل, Majestic Old Lion Apartments هو خيار عظيم للإقامة خلال زيارتك أديليد. إن موقعه الجيد الذي يبعد 2.5 km فقط عن مركز المدينة يساعد النزلاء على الاستمتاع بمعالم المدينة ونشاطاتها. بالنسبة لمن يريد الخروج، هذه بعض المعالم السياحية المتوفرة للزوار اديلايدي زو, Womens And Childrens Hospital, The Memorial Hospital. إن الخدمات الممتازة وحسن الضيافة العالي في Majestic Old Lion Apartments تجعل إقامتك تجربة لا تنسى. يمكن الاستمتاع بمجموعة من الخدمات على أعلى المستويات في الفندق كمثل واي فاي مجاني في جميع الغرف, مرافق مخصصة لذوي الاحتياجات الخاصة, تسجيل وصول/خروج سريع, تخزين الأمتعة, واي فاي في المناطق العامة. تنعكس أجواء Majestic Old Lion Apartments في غرف الضيوف.تلفزيون بشاشة مسطحة, اتصال لاسلكي بشبكة الإنترنت (مجاني), غرف لغير المدخنين, مكيف هواء, تدفئة هي بعض الميزات الموجود في العديد من الغرف. صممت خدمات الاستجمام في الفندق والتي تتضمن مسار جولف - ضمن 3 كم, حديقة لمساعدتك على الاسترخاء والراحة. مهما كانت أسبابك لزيارة أديليد، فإن Majestic Old Lion Apartments هو الخيار الأفضل لإقامة مثيرة وممتعة. الحد الأقصى المسموح به لارتفاع السيارات في ساحة الانتظار هو 2.4 متر. Wow, what a gem. I had a two-bedroom apartment which was perfect in every way. There were no issues. Nothing missing. Staff were lovely. Walking distance to Botanic Park, Botanic Gardens, Adelaide Oval, Adelaide Zoo and many other Adelaide highlights. Many, many food choices within walking distance. Particularly loved The British (pub) on Finness Street, nearby. Would recommend wholeheartedly. In Adelaide for few days staying with friends, going to the fringe on our last night before the flight home, staying at the Old lion is good access to all that Adelaide offers in the month of march. This is our second stay at the old lion apartments. 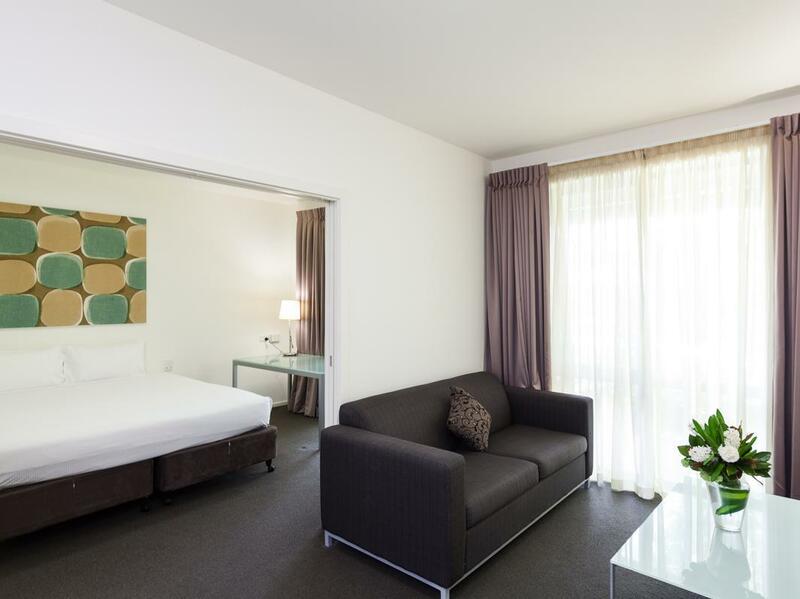 We will on our next visit to Adelaide also stay here as it’s a great location. We stayed a total of 8 days and found the easy access to city and entertainment a bonus. Self-contained apartments meet our requirements and would recommend staying either for couple or business trip. We had both a single and double room as we were attending a 21st and other family member fly down for a few days. The staff were great and all requests meet. Great location. We always stay here because of it's location. Rooms are what you expect when looking at the photos. Will be back again for sure. Excellent location, very quiet and yet not too far from the hustling city CBD. We stayed at the 2 bedroom apartment, very spacious and comfortable however it is a bit dated and not the cleanest place hotel - perhaps it is due for a refreshment. Dragging the suitcases up stairs was a pain, so a ground floor unit might be the go. Also the 2 bed apartment would have been better if it had 2 bathrooms as we had 4 adults. Some luggage racks are needed for the rooms also. Don't leave a pj on bed or cleaning staff will not make bed. Beds were very comfy and units clean and tidy and central to everything. Free wifi worked well and we had a lovely time. We booked 2 units and were pretty happy with them. Location, location, location! Perfect, local dining with superb quality, Festival Center only minutes away, museums, art gallery, great shopping, underground parking, honestly could not fault the place. Lovely 2 bedroom apartment, nicely decorated and very spacious. Staff friendly and helpful. The arpartment had everything we need including washing machine and dryer. The gardens are lovely and well maintained. Secure undercover parking which is free! Lots of cafes and resturants close by and its in walking distance of the Children's hospital, Memorial Hostpital and the Zoo. In all great place to stay only negative is the stairs to the rooms no elevator. 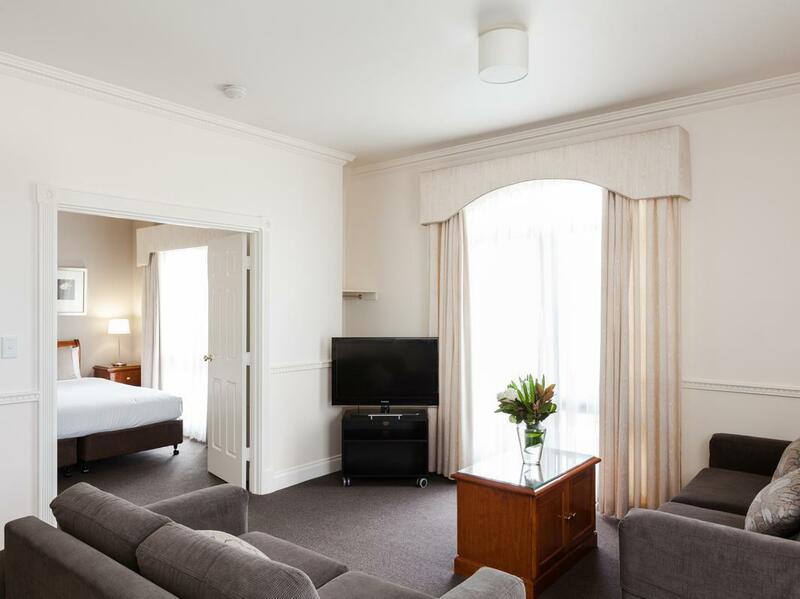 Great location, really nice well kept grounds, free secure parking, nicely appointed rooms with cooking facilities if you really wanted to cook considering all the great restaurant choices from Melbourne Street to O'Connell Street to the city centre. Friendly staff. We were not put off by the bands playing until midnight next door at the pub, as we were out late most nights, but it might be a bit annoying for some early to bed customers?! Lovely apartment in a great location. Easy to find with secure undercover parking. The apartment was well appointed and was very comfortable. Very friendly staff and fast check in. High recommended for both business or holiday travel. It should have been a great place to stay, large, clean, well equipped apartment unfortunately it was let down by a mattress so rock solid we both woke with aching necks and backs the next day. I wouldn't go back again for that reason. Apart from helpful staff, I'm often drawn to this accommodation, in particular the Annex, every time I visit Adelaide for work purposes. Its quiet location, yet accessible to nearby restaurants, makes it ideal to relax after works. The undercover parking and free wi-fi are icing on the cake! 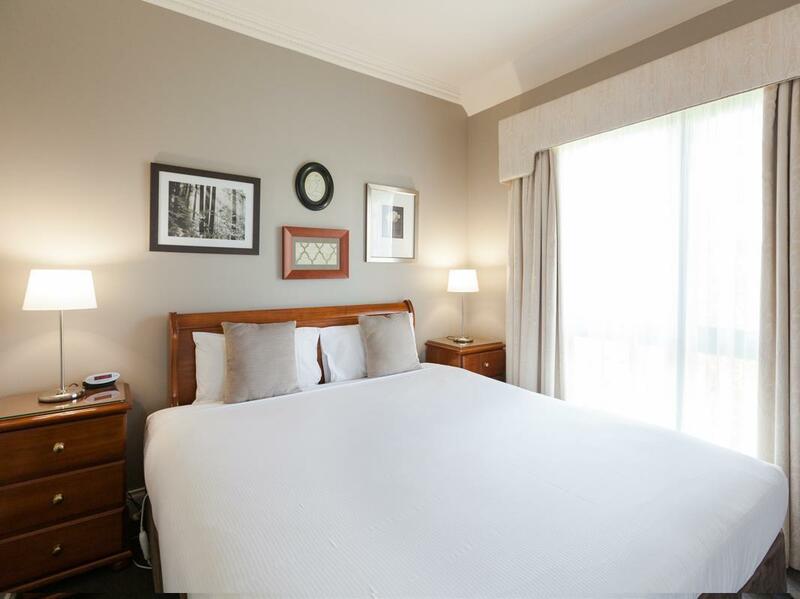 Always a great option in Adelaide - close to local cafes and restaurants, parks and other attractions. Clean and spacious rooms/apartments, friendly staff and free secure parking (and Wi-Fi). Recommended. We thoroughly enjoyed our stay here. The rooms was clean and the staff very helpful and friendly. We have no hesitation in returning. The only thing that might have made our stay perfect is a little more sound proofing on the windows facing the hotel - it was a little noisy at night. 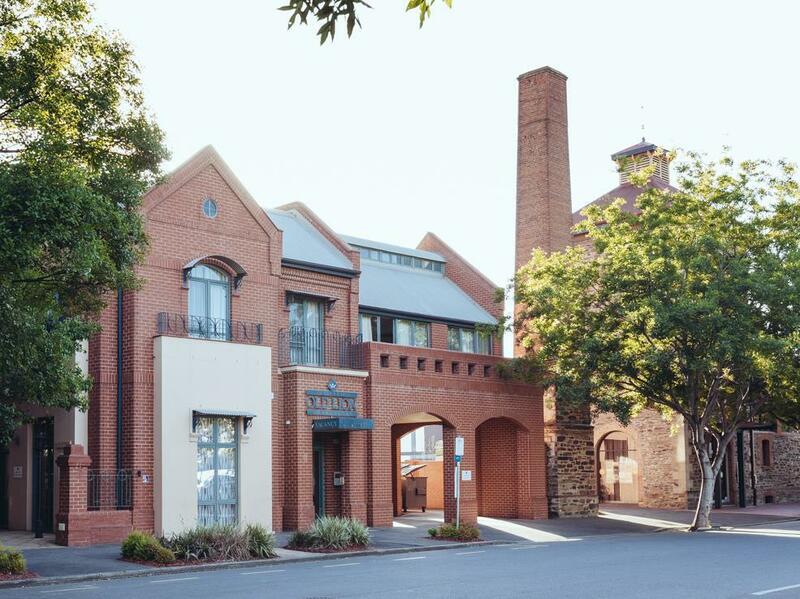 Fantastic location in North Adelaide close to the new Adelaide Oval, restaurants and lovely shops of North Adelaide. We booked the three bedroom apartment. Beds were comfy and all linen really clean. My only negatives and this was because I was travelling with my 76 year old mum, was the shower being over the bath and it's a bit of an effort getting up and down the stairs to the car park with luggage etc. Enjoyable, but I didn't appreciate someone elses address and phone number on my sign-in sheet. Don't presume just because the name is the same - my details were on my booking form, so there's no excuse for carlessness. The staff member who booked me in couldn't have cared less, just shrugged and said "cross it out and put your details in". First time we stayed here, excellent place, secure parking, clean rooms, next too melbourne street. loved it.